It’s not just the British who like a lovely cup of tea. Canadians also enjoy a good brew and increasingly so, it seems. According to a 2014 report commissioned by Agriculture and Agri-Food Canada, tea consumption is predicted to rise 40 percent by 2020 as consumers are getting a taste for more interesting blends and the health benefits of some teas. The Tea Association of Canada claim that Canadians drink almost 10 billion cups of tea each year and people are drinking, on average, over a hundred more cups of tea a year than 10 years ago. Canada was part of the British Empire until 1931 and to this day remains a member of the British Commonwealth, so it’s little wonder that the drink is a firm favourite with the nation. As Canadian cities go, Victoria, in British Columbia, retains most from its colonial past - from its cobbled streets, Edwardian and Victorian mansions, grand hotels, pubs and proliferation of tea shops. You could say that Victoria has kept the teapot warm for Canadians over the years. The Empress Hotel has been serving afternoon tea to guests and tourists since 1908 and Jagasilk is a haven for tea aficionados, boasting a store full all manner of health promoting and tea and it’s own tea academy! Whilst tea’s general popularity in Canada reached its peak around World War II, it gradually lost status over the years, and with the explosion of the coffee industry in the early nineties, the poor cuppa hit its lowest consumption levels in 1991. However, the past few years have seen Canada embrace tea drinking again, with businesses popping up everywhere promoting ‘flavoured teas’, unusual loose leaf blends and even tea based cocktails. resurgence of tea drinkers, with over 3000 attendees last year and the 2015 schedule promising presentations on ‘Tasty Teas for Home Health’ and ‘Cooking with Tea’. With enthusiasm for tea making and drinking at such high levels, it seems that now is a great time to invest in a tea shop or business. 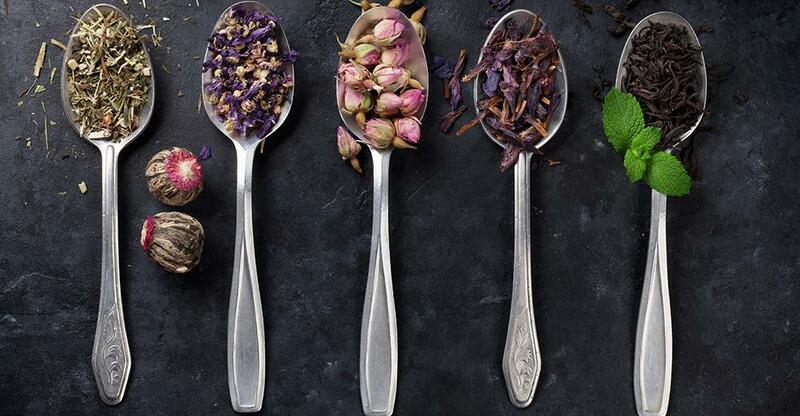 Two of Canada’s largest tea-shop chains, Teavana and DavidsTea are thriving. Teavana, which took over the successful Teaopia franchise in 2012 is growing rapidly and DavidsTea – which specializes in loose leaf tea and stocks over 150 types – has more than 60 outlets in Canada alone and is aiming for serious global presence. Even coffee giant Starbucks are trying to get in on the action, launching Teavana products in their coffee shops across the US and Canada from January of this year. Offerings include Jade Citrus Mint, Emperor’s Clouds & Mist, Youthberry, Passion Tango and Peach Tranquility. You could take a tea leaf out of entrepreneur, Hatem Jahshan and his wife, Tonia’s book: in 2006 they launched premium loose leaf tea retailers, Steeped Tea. With backing from David Chiltern and Jim Treliving from Dragon’s Den, their ‘tea party’ business, where ‘hosts’ invite friends to attend Steeped Tea promotional events and earn commission was ranked 17th on PROFIT 500s list of Canada’s fastest growing companies in 2014. Or you could start or buy a tea shop. It seems that Canada has a renewed thirst for tea of all types so make the most of a hot opportunity! Interested? Take a look at our tea shops and cafes for sale at BusinessesFor Sale.com.